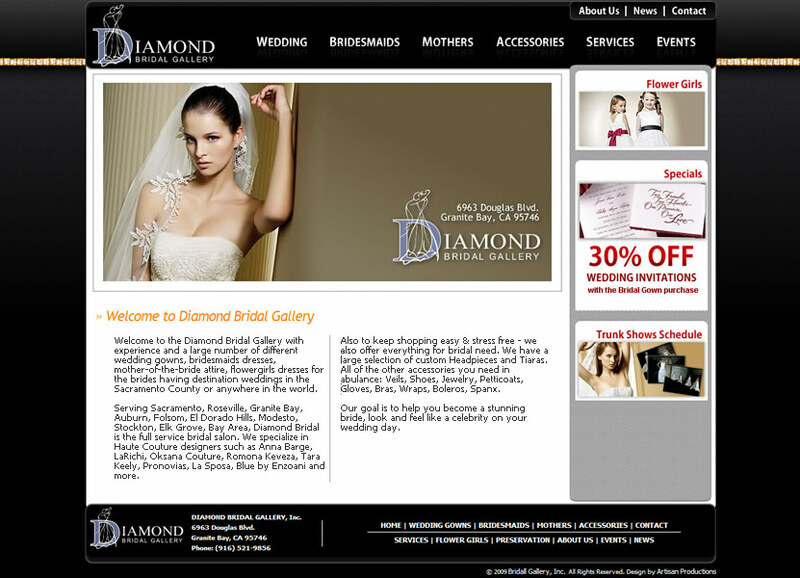 Task:Our main task was to redesign bridal salon website which was based on a basic standard template provided by their hosting provider. None of the pages were optimized for the search engines, the site was full of unrelated content and clearly did not perform it's tasks. 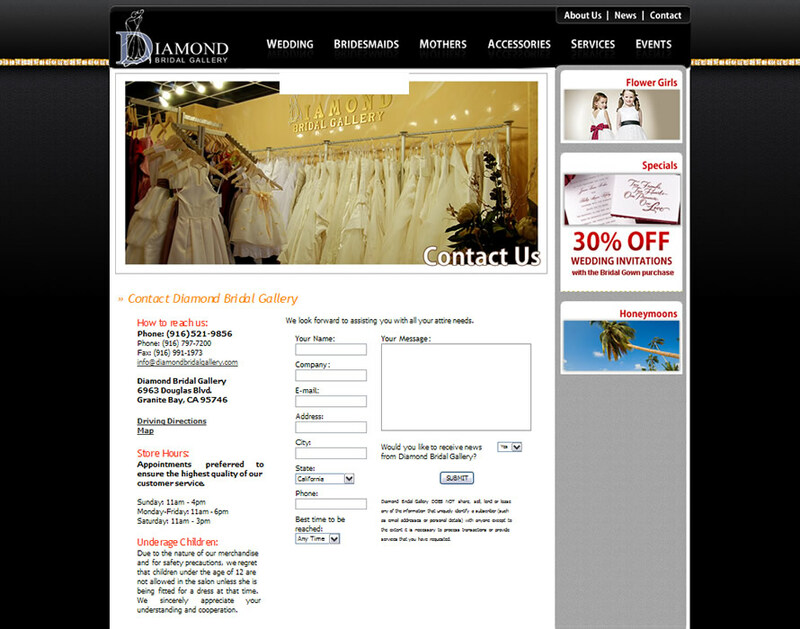 An incredibly talented team of wedding fashion specialists at Diamond Bridal Gallery and one of the most sophisticated bridal salons in Sacramento were certainly inconsistent with their poor public face on their website and their excellent customer service. 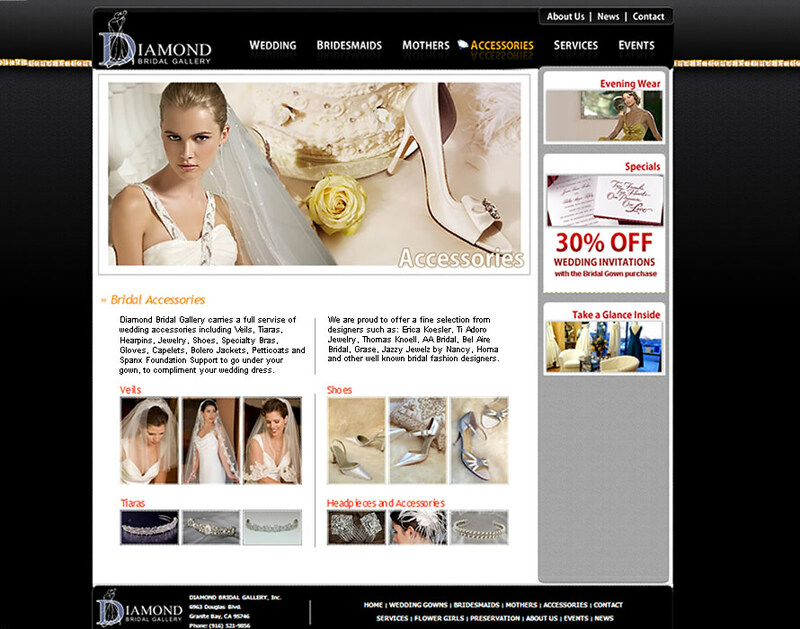 SOLUTION: Artisan Productions performed in depth review of the bridal fashion industry and client's competitors. 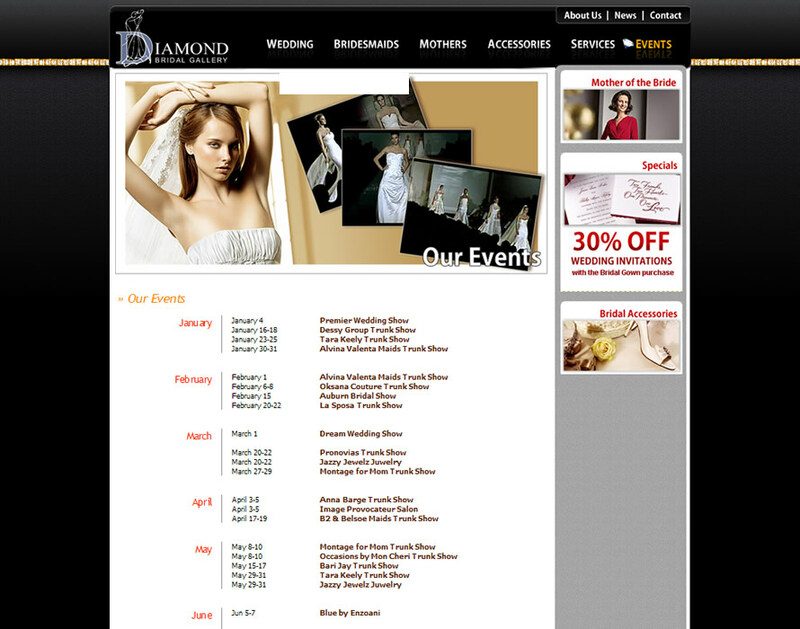 Then Sacramento graphic designers created just the right look and feel based on performed industry review. 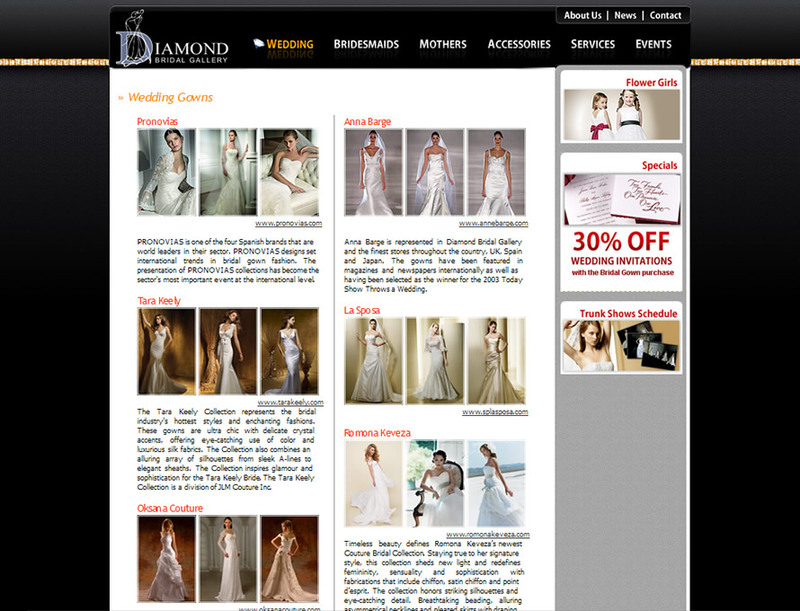 At the end, our web designers and SEO specialists created state-of-the art bridal salon website that has been applauded by the client and visiting brides as very concise, carefully crafted and executed well.
" I am impressed with quality of work and professionalism of Artisan Productions. 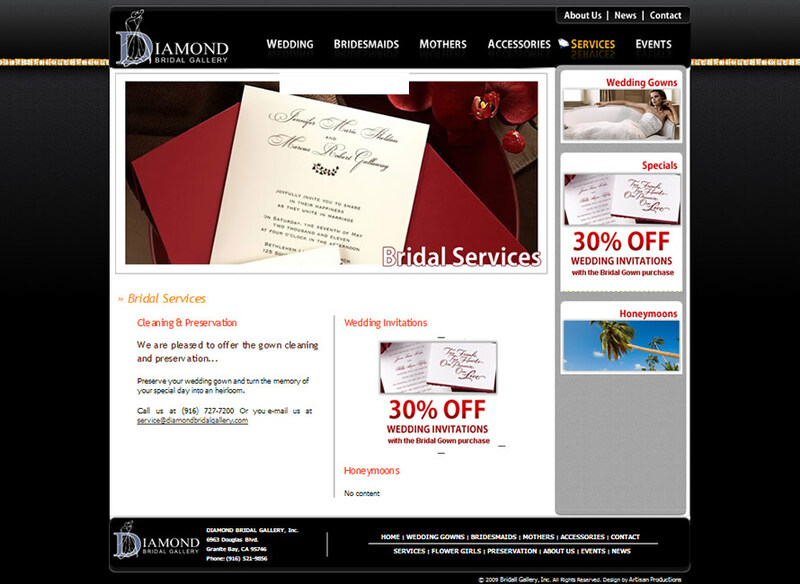 They defiantly helped to achieve an online presence that delivers immeasurable results for my company. 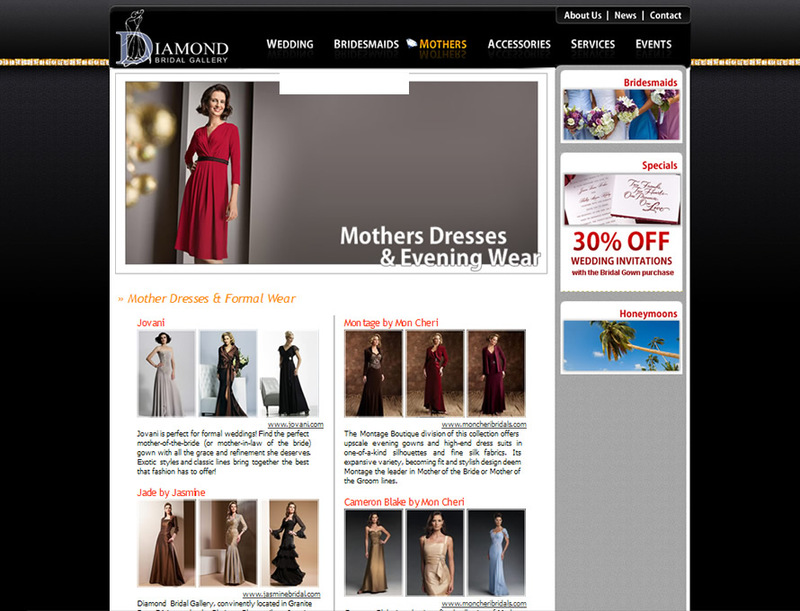 Ferro Rosso deals with high-end brands and department stores; therefore, quality and excellence are significant factors that I am always looking for. Artisan team demonstrated highest level of excellence and dedication throughout entire project. They over exceeded my expectations and I can say they are truly the best at what they do. I will recommend Artisan Productions to anyone! "